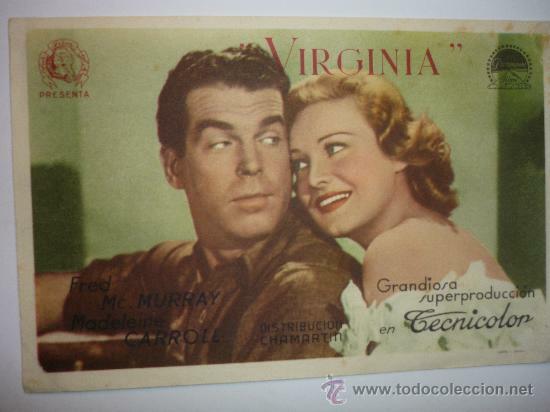 PROGRAMA VIRGINIA. FRED MC MURRAY, MADELEINE CARROLL, CAROLYN LEE, STERLIN HAYDEN. Hora oficial TC: 15:11:04 TR: 92 ms.